How good is a garden that is totally dedicated to children? Full of things that get their little brains thinking, their legs moving and their mouths smiling! Best bit - it's FREE! If you visit in the warmer months, make sure to bring a change of clothes as there are multiple water play options - guaranteed to end up with very wet - but very happy little bodies! If you go in colder, wet weather - be sure to wear gumboots as there are lots of leafy, grassy areas to explore - which equals MUDDY PUDDLES! 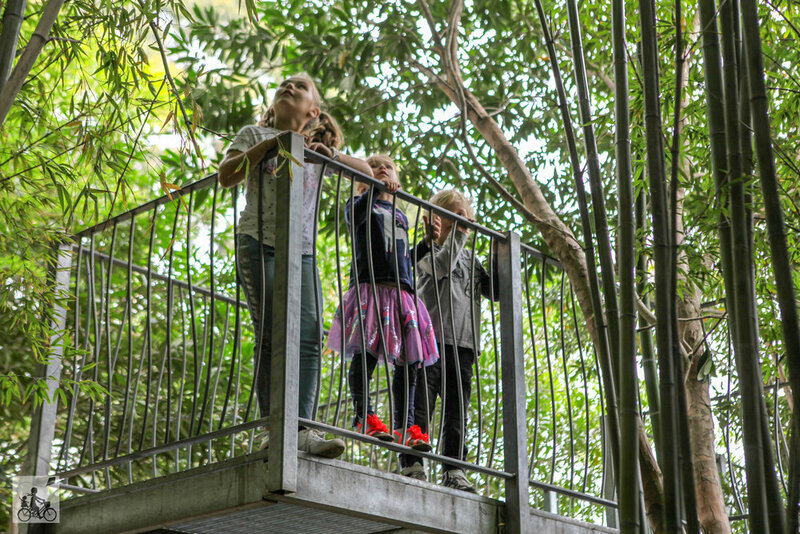 There are mazes to challenge them, lakes to ponder, trees to climb, a bamboo forest to explore, a tree-house with a spiral staircase to discover, as well as lots of animal-shaped shrubs to spot! In the community garden you will also find a sand pit - perfect to get hands dirty. This is a fully fenced in area - and an absolute perfect picnic spot for a mother's group or family outing! There are so many great things to check out whilst in the city - The NGV, District Docklands and Planet Kids just to name a few! 10am–sunset seven days a week during Victorian State School holidays.